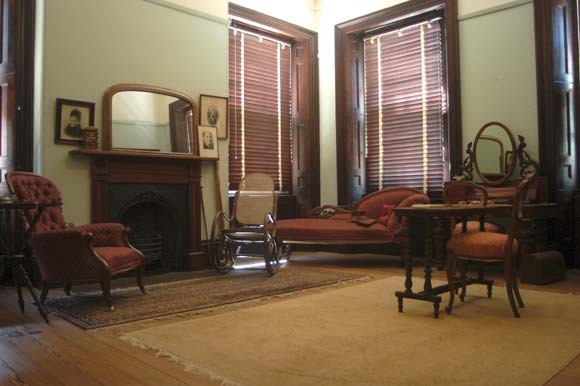 Many Georgian houses were designed so the upstairs room could serve as a reception room or ballroom. At least five other houses in Maitland follow this design. Originally the wall joining this room to the one next door was made of cedar panels that could be dismantled when space was needed for entertaining. An outstanding feature here is the number and size of the windows, which are echoed through the rest of the house. As glass was very expensive, large windows were not only a design feature but an indication of the owner’s wealth.